Start your wholesaling journey as you take a 4-WEEK COURSE given by three local, very experienced wholesalers/investors! Register NOW! 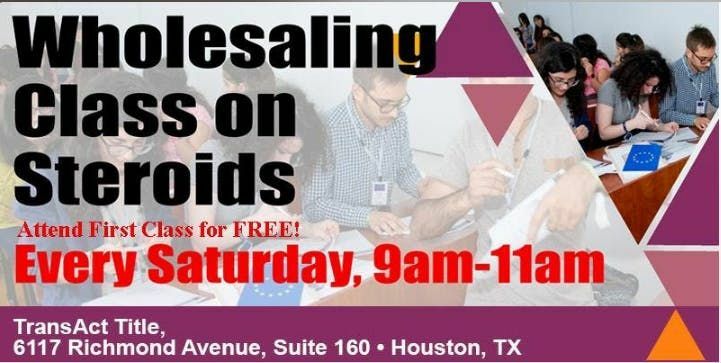 713 REIAs WHOLESALING CLASS ON STEROIDS! 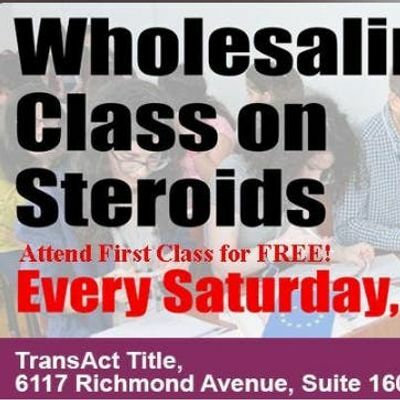 Attend First Class for FREE!